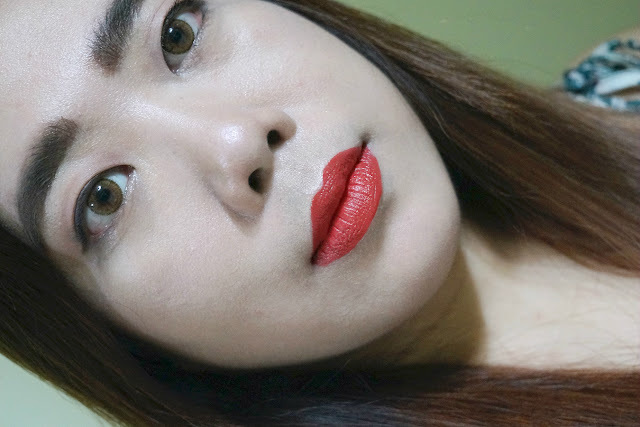 It's been a while I have posted a makeup review so here I am again today, posting one. I don't usually review concealers because I don't buy a lot of them. I mostly stick to my HG Laura Mercier. 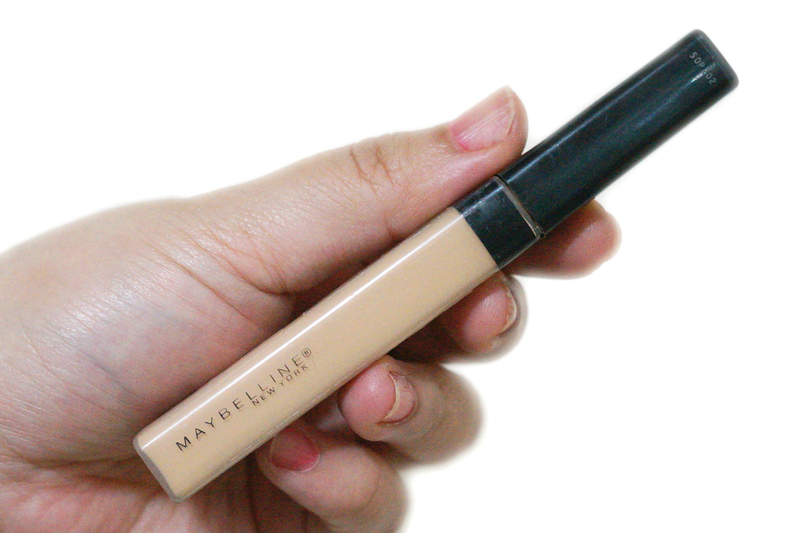 The reason I bought this Maybelline concealer was because I was in a makeup emergency. This was cheap enough (only Php 199) to warrant a whimsy purchase. I did test this in-store before buying and I can say that it did a good job of covering my massive zit without looking too cakey nor too obvious. I have used this a few times since purchasing and this is now in my makeup bag permanently so that I will have something to use in case I forgot my usual concealer. 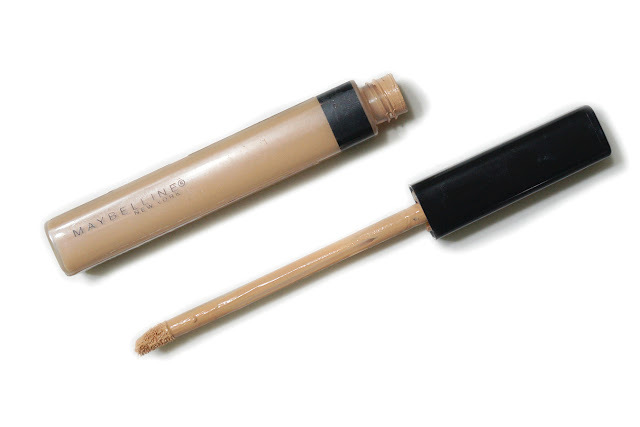 This concealer comes in a plastic tube packaging with a doe foot applicator. It's reminiscent of the NARS creamy concealer, all the way to the clear plastic, black cap and doe-foot applicator. I think Maybelline is deliberately trying to make the two look the same. The applicator is actually handy and convenient and I am able to control how much to apply without making a mess. The shade I have (Sand Sable) is the lightest available here in the Philippines. There are 4 shades in total: Sand Sable, Medium, Deep and Cafe. I would have preferred a lighter shade for use as "highlight" on under eyes, nose bridge, cheeks, forehead and chin. Still, Sand Sable with its yellow under tones works well enough on those areas. This has a light and creamy consistency and dries into a satiny finish. It takes about a minute for the concealer to dry completely so you get that much amount of time to blend it out. I don't really have dark circles under my eyes, but I do get big eyebags whenever I don't get enough sleep. 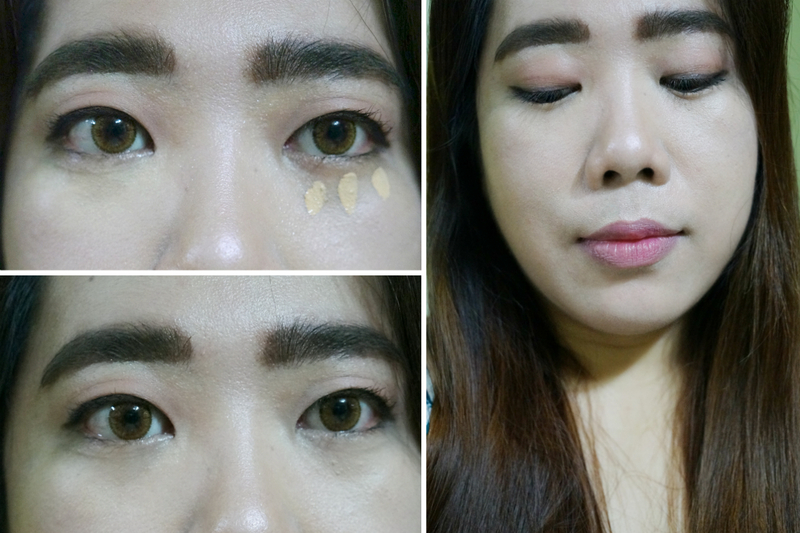 On most days, I will use a brightening concealer underneath my eyes to counter the any dark circles. 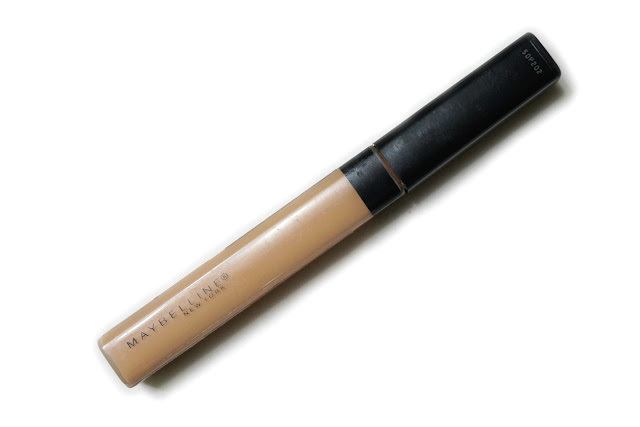 For this purpose, this concealer is truly great. The (slight) watery formula allows it to blend out seamlessly, with no creasing and without looking cakey. 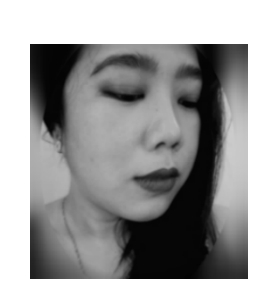 The coverage is light to medium which is enough to cover discolorations under the eyes.s It stayed put for up to six hours, even without using a setting powder. 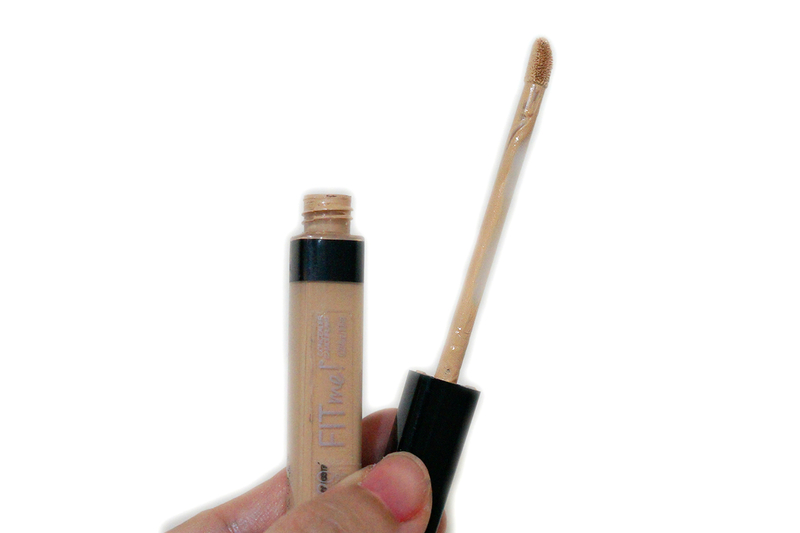 However, I don't recommend this concealer for use on pimples and blemishes. 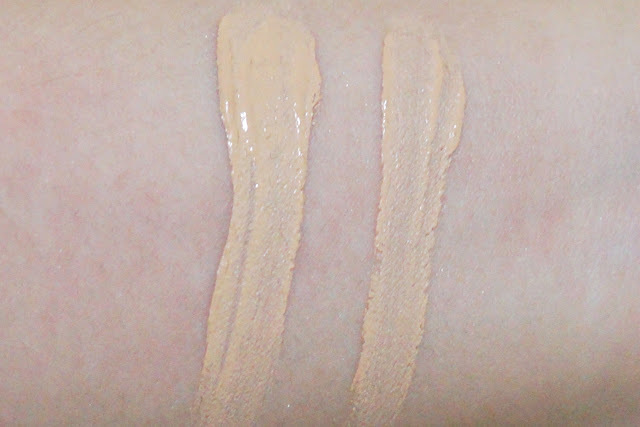 The lighter coverage means it would take a lot of building up and layering to hide a dark blemish or a red pimple. This would negate it's purpose since instead of covering, it may actually draw attention to the problem area. It maybe fine for use on faded scars and you can use a setting powder so that it will stay put longer. - Can be used as a "highlighter"